Kagrra, always has nice covers. And always so Japanese! Kind of weird how there’s no title or anything on it though. Tsuki Ni Murakumo Hana Ni Ame starts off with a bit of singing and stuff followed by a short intro using a traditional instrument. This theme used in the intro will reappear throughout. 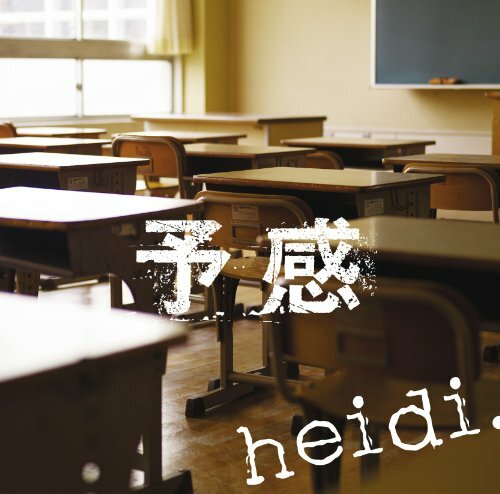 They are pretty good at integrating Japanese themes and instruments into their music. There’s a nice guitar solo in here too. The vocal melody doesn’t have very much range in this song and I feel like that takes away from this a bit. Hinamoto is a little faster. It has a completely different feel than the previous song. The guitars stand out a little more, but mostly play broken chords to create the atmosphere. Bass… just plays quite a bit of repeated notes. It seems like after a certain point, the traditional instruments just disappear. Gikyoku Hana Ichi Monme. Our last song. This is a rather unusual work. The band plays some strange mixture of music at the beginning and a little bit more into it. There are buildups to more clear sections. I get the feeling of some creepy forest or something. Anyway, it’s a pretty unusual song. Overall: Pretty average stuff for Kagrra, but still nice to listen to. The last song was kind of unusual, but not bad. Carol never wore her safety goggles… now she doesn’t need them. Be safe in the chem lab! The MadNesS continues with WoNdeR WomaN, a collaboration between MiChi and the telephones. This song is actually pretty good I think because of the great energy throughout the whole thing. This song takes a more rock approach as opposed to merely electronic music. MiChi is definitely focused on maintaining intensity instead of watching her vocals (which is okay in this case). 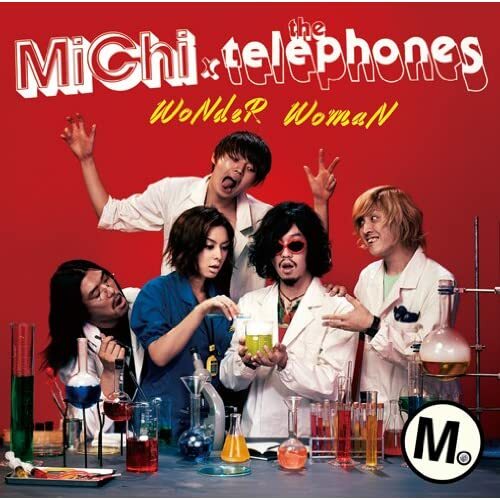 The only part that bothered me a little was the chorus; MiChi’s vocals were fine, but those from the telephones were a little unsteady. Next is Strong MAN, another up-beat rock song. I feel like this song is much more of MiChi’s style than the a-side. It’s a little more toned down, which leads to a little bit more control in both vocals and instrumentals. What’s nice is that even though the rock is present, you still get a little bit of synth here and then. WoNdeR WomaN T.O.M. remix is definitely more of an electronic song. There’s tons of distortion in the vocals (which actually minimizes the intonation problems of the original song). I think it’s a pretty good remix, but I don’t think it’s better than the original. Overall: I was please with this single because of the way it makes you want to move! Love love love this cover. Also, the scans for this single are so beautiful! I was a little nervous with Little Girl. Frankly I thought it was going to be a ballad. That is not the case, as Little Girl is a light-hearted, up beat pop-rock song. 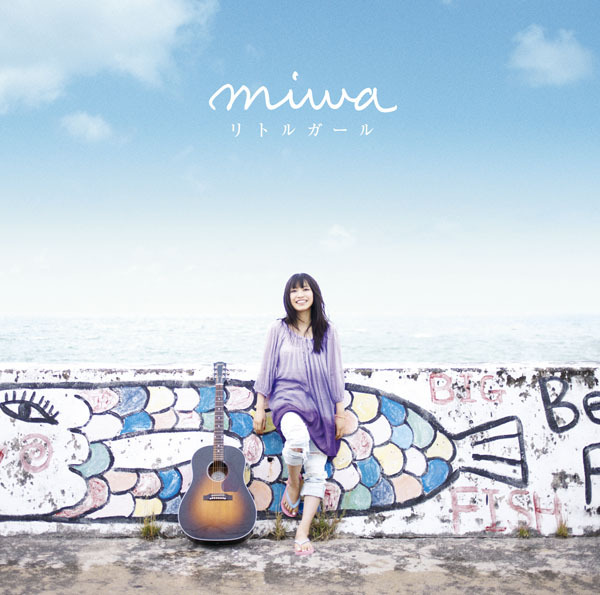 miwa’s vocals are a little shaky during the beginning, but she gains control during the chorus. 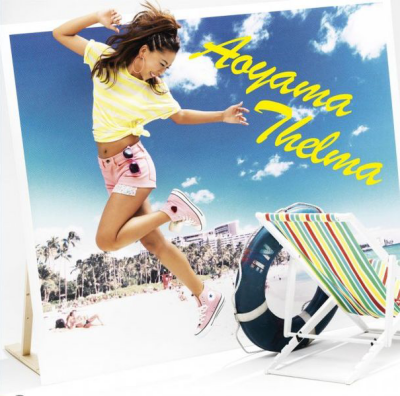 This song is tons of fun and super cute: a complete contrast to her last single, Don’t Cry Anymore. Anata ga Inai to Sekai wa Konna ni Tsumaranai has some pretty weird instrumentals in the beginning, so I worried about the organization of the song. Fortunately, the general melody picks and stays pretty consistent. Like the a-side, this song is up-beat and perfect for summer. I like how this song uses lots of electric guitar, making her sound less YUI-like. Finally, we have a gorgeous acoustic ballad. Sobani Itai Kara is soft and sweet, like miwa’s vocals. I love how miwa has a bit of a raspy tone quality to her voice in the song, as opposed to a lot of the high-energy “whining” she uses in her faster songs. This song is just miwa and acoustic guitar, so it’s perfect for listening before bed. Overall: A great single, even better than her debut!